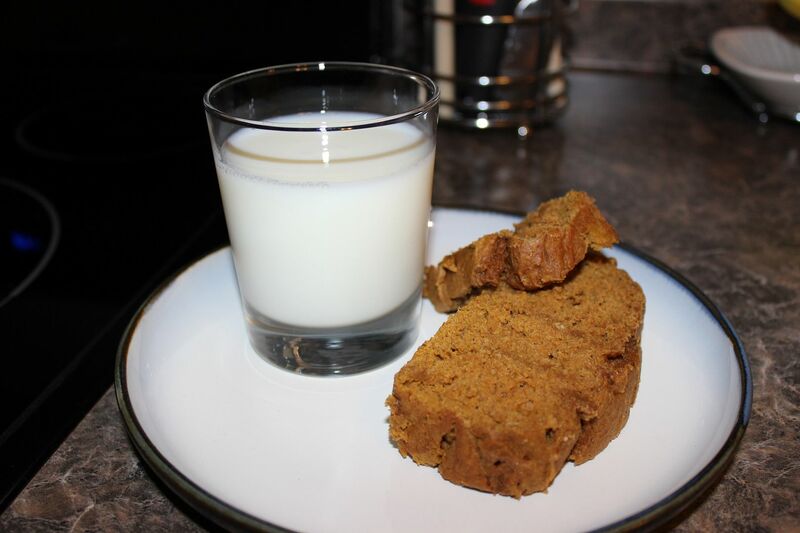 For all of you pumpkin lovers out there who have insanely busy lives and think you never have time to bake or even for those people who just want to bake something simple, have I got the recipe for you!!! 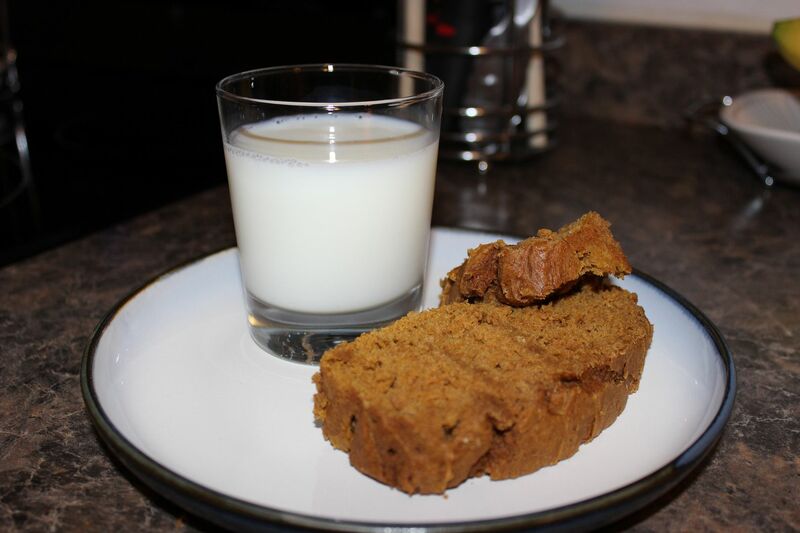 I just made the easiest pumpkin bread ever and it has only two ingredients - bet you never saw that coming, I mean I gave you a super vague post title and everything. 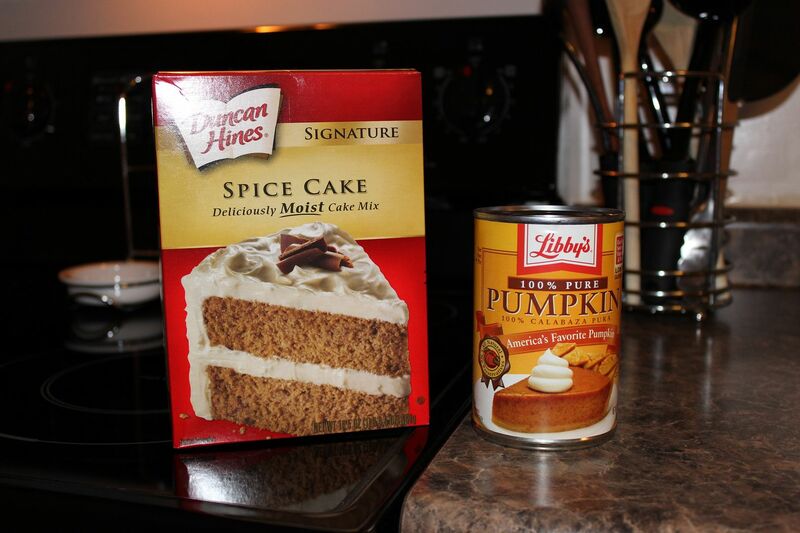 All you need is a box of Spice cake mix and a can of Pumpkin. 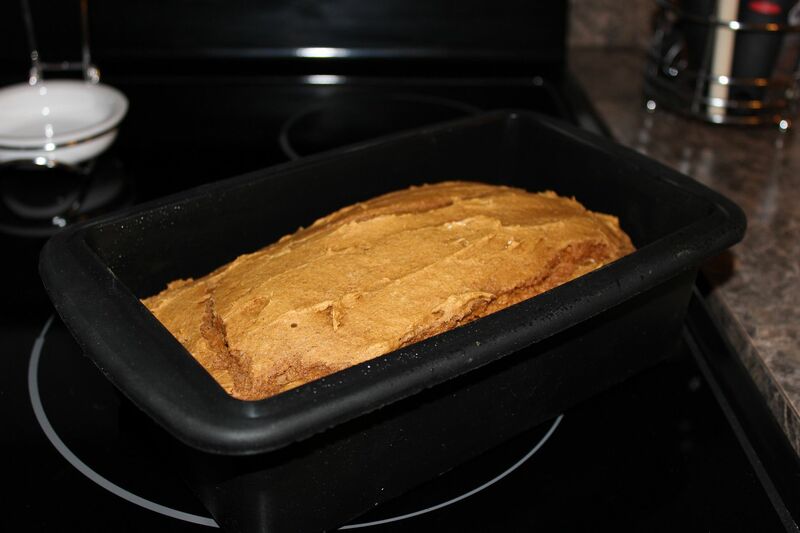 Mix the two ingredients together in a bowl and pour into a greased bread pan. The mixture will be thick of course, but it is still possible to mix the ingredients together using only a fork. Or you can use a hand mixer, whatever you prefer. Then just pop the pan into the oven for 30-35 minutes and bake at 350 degrees. So easy! And oh so yummy! Happy Fall Baking Season everyone. You had me at 2 ingredient! You seriously had me at 2 ingredients! I don't like to cook (or bake) but I could actually try this and trick my husband into thinking I put a lot more effort into it. i made muffins the same way but with yellow cake mix and added chocolate chips - so easy!! Does this only make on loaf? These look awesome! Pinning for later.